We offer waste management solutions, recyclable materials and consulting services. 1 TN OF PAPER SAVES 17 TREES! 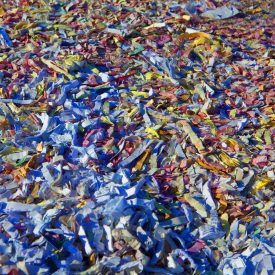 IN 2016 WE RECYCLED 34.000 TN! 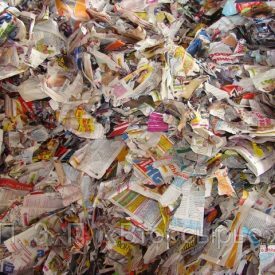 Engaged in any sort of paper management, our company undertakes paper collection via its own fixed and mobile equipment. We provide by far the fastest and the most secure services in our sector! 1 TN OF RECYCLED PLASTICS CAN SAVE 5 TNs OF FUEL OIL! 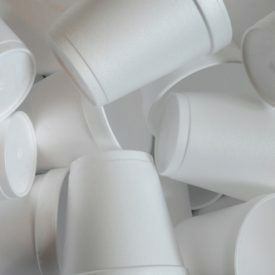 Our company has vast experience in managing wide range of plastics. Transport to licensed plastic-recycling plants also offered. 50% OF THE GREEK STEEL INDUSTRY'S INPUT MATERIAL COMES FROM RECYCLED METALS! 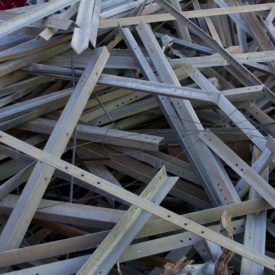 We manage all metal scrap: iron, INOX, copper and aluminum are sorted, picked over, purified and transfered to the corresponding metallurgy for recycling. 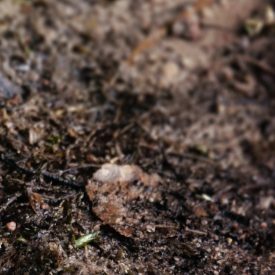 IN 2016 OUR COMPANY SAVED THE LIFE OF 200.000.000 TREES THROUGH RECYCLING! 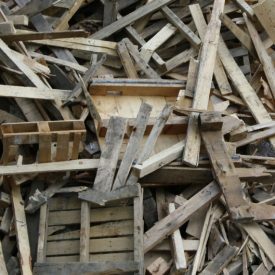 We collect and process various types of wood waste, both of natural and industrial origin. We produce fine shredded material. We also rent special portable equipment (shredder) for in situ use at your premises. SAVE ENERGY & NON RENEWABLE NATURAL RESOURCES! 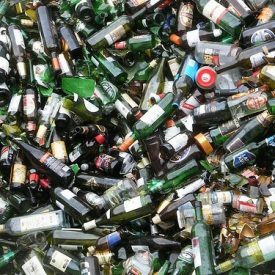 Our company undertakes the collection, separation and transfer of glass of various forms or colors, and its transportation for recycling or valorization to the appropriate recipients. ΑΝΑΚΥΚΛΩΝΟΥΜΕ ΜΑΖΙ ΓΙΑ ΕΝΑ ΚΑΛΥΤΕΡΟ ΑΥΡΙΟ! 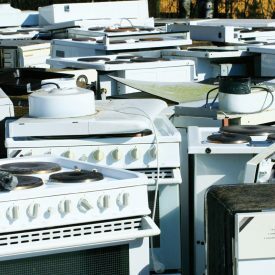 Our company cooperates with the Collective System for the Alternative Management of WEEE "Appliances Recycling SA" for the collection and transport for recycling of all the electrical and electronic appliances. 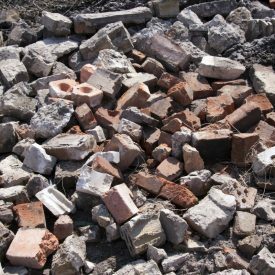 Our company is appropriately licensed and offers integrated services for the collection and transportation of all types of wastes from excavation, construction and demolition works from construction, infrastructure, erection, demolition, as well as renovations works. 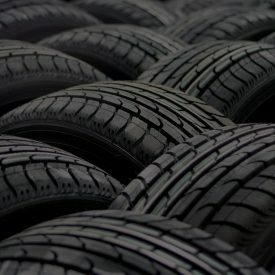 We collect and sort various types of used tyres and transport them to licenced recovery or recycling plants. 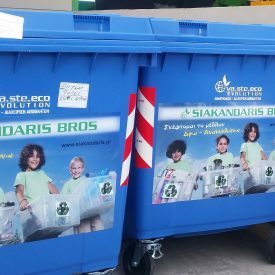 Mixed packaging, either coming of a blue bucket or in an industrial form, can be managed by our company in our modern sorting facilities and transported to the proper recycling plants. 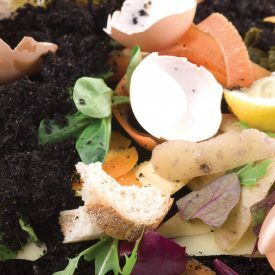 Our company has set up and operates a model center for the treatment and preparation of biodegradable waste for recycling or recovery, with modern technological equipment and specialized personnel. Our company has the appropriate equipment and licensing and offers services of collecting and transporting dried, non-hazardous, sewage sludge from industrial processes, agriculture, food processing and water or waste treatment plants, to specialized recovery facilities. To reduce the volume and manage the used EPS efficiently, our company operates a special briquetting machinery. Following the compression of the EPS which results to significant volume minimization, it is possible to transfer it to the appropriate recycling plants. Some of our clients. Be one of us! Our company is active in developping & implementing waste management operations for non-hazardous, solid materials in Greece and abroad.